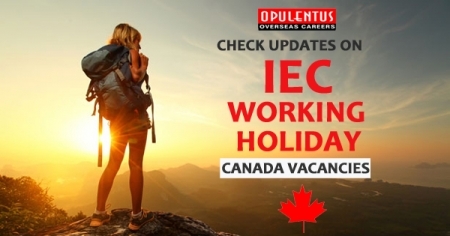 The recent information for your nation and pool, for the International Experience Canada (IEC), Working Holiday Canada program in 2018. Candidates will require to generate a profile and await their request to apply for a work permit. These are carried out in ‘rounds of invitations,’ which take place at frequent intervals, as per the Immigration, Refugees, and Citizenship Canada (IRCC). Here we’ll have the recent data on the candidate's number in your pool, and your possibilities of being chosen to get an invitation to apply for the next round. We refresh this guide weekly. Across all IEC nations and pools, 2,773 positions are still left for this IEC season. Just 73 spots were filled in the last week. Roughly 762 invitations were given, with most invitations giving to applicants in the Working Holiday pools from Ireland (126), Australia (187), South Korea (175), New Zealand (62), and across the French pools (129). New Zealand (234) and Ireland (2,228) contain the majority of spots over pools left this season. Our update presents the recent figures and indicates modifications in the pools since September 14, 2018. Please note that few pools for the 2018 IEC season are now finished. Further applications will be achievable during the 2019 season, information for which is assumed to be released in the fall (autumn) of 2018. Candidates currently in the pool for a nation for which places are left and the final invitations round has not been declared can still expect to get an invitation to apply for the present season. Please subscribe tour newsletters to get more updates and information. Please fill up the free assessment form presented by Opulentus to take the first step for your Visa and Immigration Process. We have more than 18+ years of experience in Overseas career and Immigration Industry.